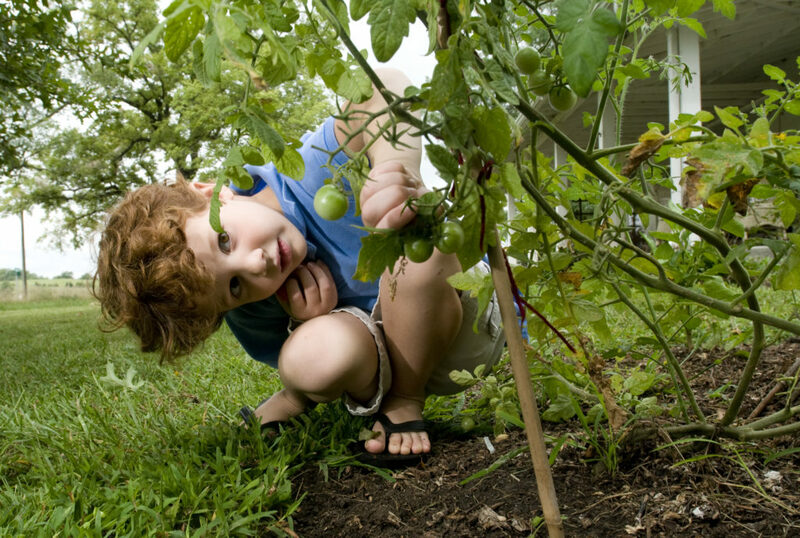 Jack Bellemere, 5, creeps around the garden picking ripened tomatoes for his mother Thursday at their home north of Lawrence. 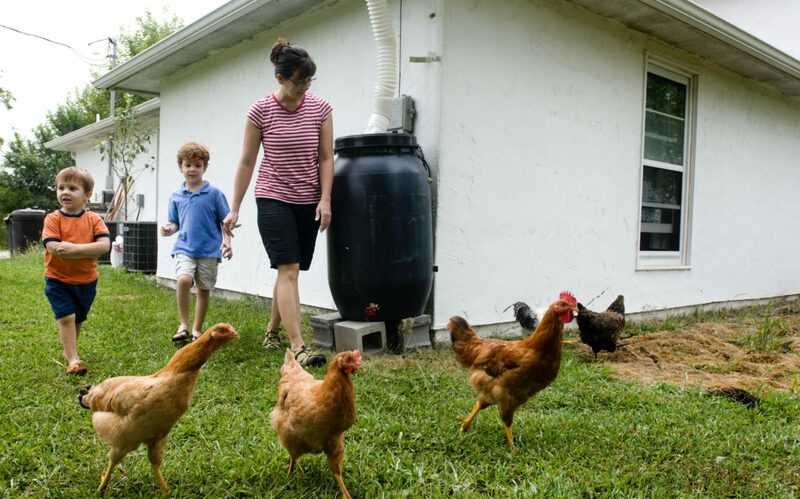 Kim Bellemere and her two sons, Andy, 3, left, and Jack, 5, round up a few chickens and a rooster Thursday at their home north of Lawrence. Bellemere is organizing a Lawrence eco-parenting group for families interested in incorporating environmentally friendly practices into their lives. Kim Bellemere is trying to go green, and she has a couple of helpers to keep her on track. Sons Jack, 5, and Andy, 3, assist with recycling – or at least, they’re good about reminding mom where to put aluminum, glass and paper. They’ll help their father, Frank Bellemere, unload the goods when they travel to the nearest recycling center. The boys also will dump in a feast of food scraps for the worms in the compost pile. And they’ll shepherd in the family’s five chickens for feeding if the brood is hiding in the underbrush at the family’s remote property north of Lawrence. That’s why Bellemere is starting up Eco Parents, an interest group with the Lawrence Sustainability Network. The first meeting will be 7 p.m. Thursday at Lawrence Public Library, 707 Vt.
Bellemere hopes to model the group after other successful green-friendly parent networks around the country, such as EcoMom. “Lawrence is a fantastic place to get this started, because there are so many people in town who are experts on going green,” she says. “But there’s also a lot of people who are just kind of thinking about it, but aren’t sure how to get started. Plans for the first meeting, she says, are to talk over “going green 101” and to form a consensus on topics of further interest. September’s meeting will cover home winterization and saving on energy costs. LSN member Alison Roepe, who has helped Bellemere network with local environmental advocates, sees the new interest group as another example of Lawrence’s history of grass-roots advocacy. “I’ve seen it in town hall meetings on sustainability, the interest in local foods, in organic subscriptions. It’s like you can see little lights popping up all over Lawrence,” she says. Roepe also says it’s the first green-oriented parenting group she’s heard of in Lawrence. Bellemere hopes the group could spread its wings in time, visiting interested moms’ groups or book clubs with green-friendly ideas. But she emphasizes again that she’s no environmental expert, and beginners are definitely welcome to Thursday’s meeting.